The concept of Sugar & Spice Snow and Social Club, Inc. started in the early to mid 1980's. 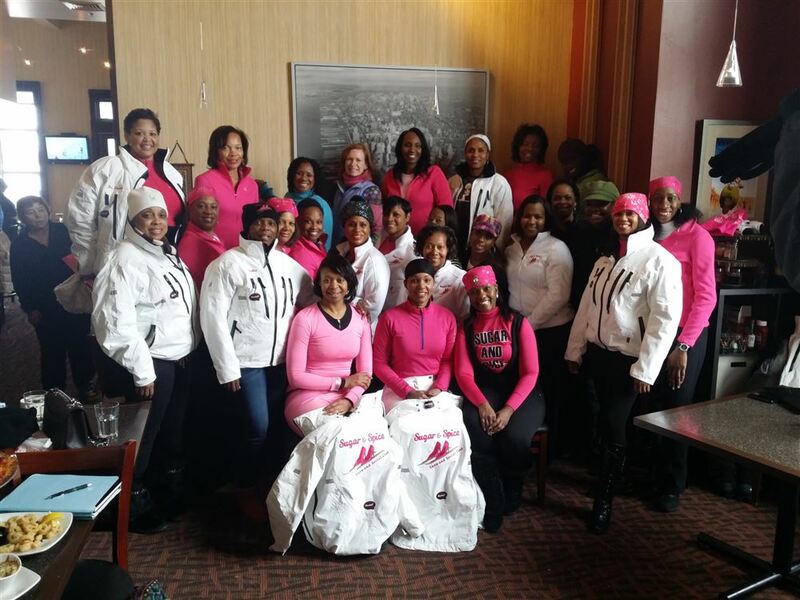 Our founding Vice President, Myra Hitchens, began traveling to the mountain with the ski club of her present employer, where she would contract executive housing and ski at various mountain re-sorts throughout the winter ski season. In 1982 at Steamboat Springs, Colorado., Myra met some ladies at Summit (affectionately known as Black Ski Week) from an organization called National Brotherhood of Skiers (NBS). She was excited to know that there were other women of color interested in the sport of skiing. Throughout that week, Myra began to meet more women on the mountain and had a wonderful time. This continued throughout the years at Park City, Vail, Whistler, and Breckenridge. In 2007, after returning from Steamboat, Myra realized a ‘group’ of 25 ladies formed. Not only did the ‘group’ attend Summit, they began traveling and attending social events together both nationally and internationally. They also hosted fabulous parties in Steamboat, Breckenridge, Winter Park, and again Steamboat. After Summit2011 in Steamboat, CO, these group of ladies knew it was time to launch an official club. Sugar & Spice Snow and Social Club, Inc. officially joined NBS Eastern Region on October 5, 2011. Today, Sugar & Spice offers a full range of seasonal activities suitable for everyone. With 80 members, Sugar & Spice became so popular that they added two new levels of membership: a male counterpart: BOSS (Brothers of Sugar & Spice) and a Youth membership level. Yes, they still throw great parties on the mountain at Summit. But more importantly, they also give back to their communities by supporting youth involvement in winter sports. This club has been able to thrive because of its visionary founders Dr. Lauren K. Simmons, Myra Hitchens, Keisha Smith, Kristy Royal, Myrtle McIntosh, Ara Watkins and Dr. Theresa Kelly-Holmes and current leaders who focus on camaraderie, philanthropy, and sportsmanship.